I know how to fix the toilet that won’t flush properly. 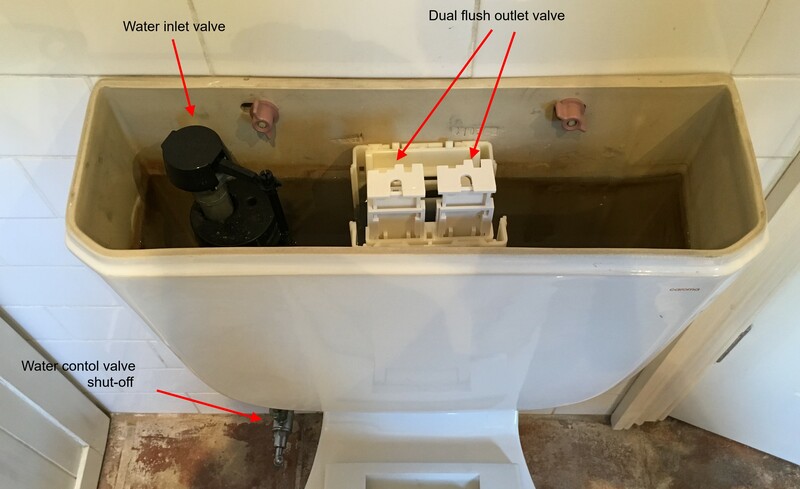 This pic shows the water inlet to the cistern and the outlet valve or flushing mechanism that sends the water into your toilet pan. Either of the valves shown could be faulty. If the inlet valve doesn’t shut-off, it will cause the cistern to overfill and spill into the overflow tube that will run down into the pan. You may need a new inlet valve. If the outlet valve is leaking into the pan, the outlet valve may need to be replaced or re-washered. Either of these valves leaking could be causing leaks into the pan. If you’re not sure, just ask us. “My toilet won’t flush properly” is a common cry for help in our emergency plumbing business. We then ask, Do you mean the dirty water won’t flush away? A recent study showed 95 % of men and women say they wash their hands after using the toilet, especially a public toilet. Funnily enough, only 67% of people actually do wash their hands after using a public loo or the toilets in their workplace. There have been quite a few surveys done on the topic and some innovative ideas to check on whether we did or didn’t wash.
It’s quite well documented that the toilet flush button is one of the most un-hygienic places in the bathroom and I’m hoping that all our readers apply the simple rule. Flush when you’re finished! But, think about it, What did you do before you flushed the loo? So, wash your hands after a trip to the bathroom. For us, the heat in the real estate market is reflected in the lack of due diligence by potential home buyers prior to purchasing properties in our suburban real estate grab. Yesterday we helped a young couple who just bought their first home in the Ryde district. They had bought a house that had the bathroom toilet illegally connected to the surcharge gully which was outside the bathroom and near their front door. The gully had a deck built over the top of it to make the front of the house more appealing. Every time the toilet was flushed the discharge spilled into the gully underneath the deck. Yuk! After living in the house for only three weeks they started to question the blocked drain symptoms displayed by the toilet. There was also some doubt about the sewerage smell at the front door. Apparently the young owners had undertaken a pre-purchase building inspection. Somehow the building inspector did not pick up this illegal plumbing connection. The only advice I can give you is that if you have a friend that’s a plumber don’t get him to look at the property before purchase. Instead, get a plumber who has plenty of experience in looking at domestic homes, who has an eye for the unusual and is prepared to look a little harder than just scratching the surface. Any rectification work to the problem we have just uncovered will be expensive. In the $3000-$5000 range. That is not what these new eager homeowners were expecting. Today our post is simple. A new client from Bronte called because since Christmas they’d had 3 blocked drains causing the downstairs toilet to overflow throughout their basement. YUK! The plumber they had been using didn’t have a drain camera and it was suggested that the pipes were broken. We were able to clear the blockage quickly, then, give the pipes a Drainoscopy. That’s Lone Drainer speak for “put a specialised drain camera in the pipes and see what is really going on”. The pipe was full of tree roots. That’s all! We cut out the roots and had another look. A simple Vaporooter treatment will keep the roots away. With a Guarantee! Yes, the pipes are old clay pipes. You can see where the roots have been cut out. But, they work and will for some time to come. The best way to find out is to see it for yourself. As you know, up to 85% of blocked drains are caused by tree roots and can be easily managed. But, there is a growing number of blockages that are caused by “hygienic wipes”. Hygienic wipes block up house drains and sewer mains that cost homeowners and Sydney Water a fortune to maintain. So be careful what you flush! Simply, hygienic wipes don’t break down like toilet paper and as many household pipe lines have imperfections, the wipes can get caught and start a blockage. If you are polishing your bottom….. and flushing more wipes, you could be in trouble. This Choice magazine Youtube video shows how wipes don’t break down for up to 21 hours. 85% of blocked drains are caused by tree roots. However, what you flush down your loo can contribute to that blockage. Many of us are back to work today January 4th 2016 after our Christmas break. Time, love and laughter with family and friends, rest and re-charge. We’ve had a few plumbing emergencies that couldn’t wait. Blocked drains, burst water pipes and a rusty galvanised gas service that led to a complete pipe re-run on New Years Eve. People are grateful to have help from an emergency plumber. They also like to laugh and learn. I recommend you watch this clip for Poo Pourri. This is what I call Furk! BTW After the laughing stopped, I ordered some Poo Pourri. It works! If you’d like some let me know. Think before you flush the toilet. Christmas 2015 is upon us. Most of us slow down and enjoy the festive season and the Aussie summer. 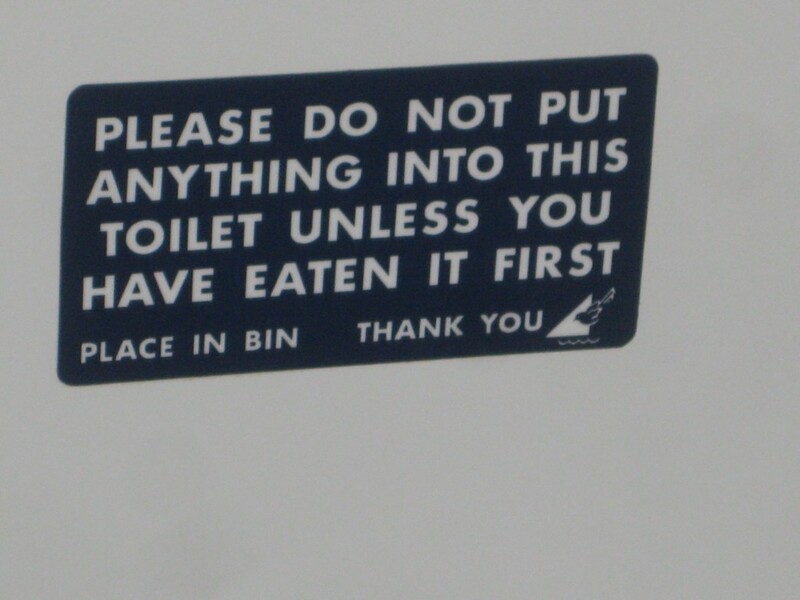 But please think before you flush. We are here to help you with a plumbing emergency over the Christmas holidays. A blocked drain can be caused by putting the wrong things down your sinks, pipes and toilets and it can leave you with an expensive plumbing bill to unblock your pipes. It can also lead to the amount of waste moving through our sewage treatment works at Malabar, Bondi and Manly. These extra items have to be screened out, dumped in bins and trucked off to a landfill site. Unsuitable flushed items can lead to sewer overflows and problems in the sewer mains simply caused by small items getting caught and blocking the network. An overflowing sewer main in your property or worse, in your home, is very unpleasant. 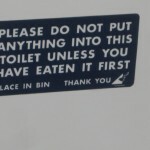 So, keep it simple and flush only the three Ps….. pee, poo and paper. So on Monday afternoon, 27th October 2014, I got this email. Thank you so very much for taking my phone call early this morning and organising Chris and Leigh to come to my house so quickly. Chris and Leigh arrived, knocked on my door, introduced themselves with smiles and put me at ease that my sewerage problems would be fixed. Such a relief. I could not have had nicer people to arrive on my door step. Both well mannered and very pleasant people to talk to. I also had a problem with my kitchen sink tap. Unfortunately I had to leave Chris at the kitchen sink as I had to go to work. He did a good job and I now have a brand new tap looking at me! Both men were very efficient. Again, thank you for being so prompt and getting the job on its way. Sometimes its great to laugh at ourselves. I’ve always loved the Wizard and this is a good one! Don’t put it down your toilet! Last night we had an emergency call out to a client we had helped recently. But first, let me paint a picture. Two weeks ago “Kath”, who lives in a 1920s Coogee building had a blocked shower. Kath said it had been slow to drain since she moved in 6 years ago. A little investigation revealed the original pipes ran through the concrete floor and were corroded internally. Corrosion is one of the drawbacks living so close to the ocean. Anyway, The Lone Drainer and Pronto Super-heroes Leigh and Chris, got her shower running “better than ever before”. In fact Kath rang our office to compliment the boys on their Ps, Punctual and Professional. So I was surprised to get her evening call-out. It turns out her toilet was blocked! The shower and basin were draining better than ever before. The building has a 2 pipe system and shower, bath, basin and kitchen sink run down one pipe, while the toilet waste goes down the other. After a little investigation we found there were tampons caught on the corroded inside of the waste pipe. It was reasonably simple to clear the blockage. Although Kath was a little embarrassed we assured her the best way to prevent it happening again was to follow this simple rule. One recurring topic of 2010 is the Ownership and liability of common water, sewer and gas pipes. When we send out an emergency response team to a ruptured gas or water pipeline or an overflowing sewer, the first thing our team thinks about is rescuing the property under threat. Often, it is after the emergency that ownership and liability of the problem are hotly debated. This series of 3 blog posts is aimed at clarifying some of that debate. In most cases, persons using utility services that pass through several properties benefit by the existence of an easement of access over that service, entitling the user to enter the property on which the service is located in order to attend to the service. However, in the absence of such an easement, the user of the service is not allowed to interfere with the service, even where that interference is for the purpose of maintenance, repair, or relocation of the service. One explanation of why there may not be an easement is that the properties through which the service runs were once commonly owned. When the common ownership ceased, new owners may have failed to ensure that easements over water pipes or sewer lines existed for the particular part of the property they were purchasing. The problem may have arisen due to an assumption that such a right was simply transferred with the purchased property, or by an omission on the part of the conveyancer. Whatever the reason, the failure to create and register an easement has given rise to a number of lasting problems. These difficulties have been compounded by the general reluctance of the Water Board to impose on new purchasers a requirement to install costly separate connections. 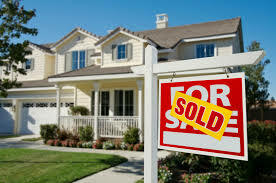 Many properties today do not have a viable means of creating a separate connection at reasonable cost. Finely tuned athletes create blocked drains! The 19th Commonwealth Games in New Delhi India have made headlines for several reasons. Firstly, the Australian athletes have done exceptionally well. I have personally enjoyed the efforts of swimming legend Geoff Huegill on the comeback trail after a long break from the discipline of training. Huegill, the man they call Skippy, swam the best race of his life in the 100m butterfly final. His time, 51.69sec, was easily the fastest he has ever swum and astonishingly places him, at 31, second in the world this year behind the greatest swimmer of all time, American great Michael Phelps. A problem with blocked drains in the athletes village was blamed on an abundance of used condoms blocking up the sewer pipes. Indian newspapers reported the blockages, organisers are denying it saying “there was no blockage in the drains in the village and no emergency plumbers were called in. But one fact remains, the supply of complimentary condoms has been depleted by 4,000. So either there have been a lot of water fights, or groups of young athletes at their physical and hormonal peak have been “getting to know one another”. I know which one my money is on! It was during the 1992 Barcelona Olympic games that condoms were first purposefully handed out to athletes, and organisers have continued to do so ever since. Whether you are in New Delhi, Double Bay, or Mosman, we don’t recommend disposing of condoms by flushing them down the loo into the sewer pipes. But if it does happen, It sounds like a job for The Lone Drainer and Pronto! Emergency blocked drains affected by the full moon?? Blocked drains happen everyday in Sydney and all the plumbers on our team love getting out there to help people clear their blocked drain, clean up any mess from an overflowing sewer, and get on with their lives. We track the most common cause of blocked drains and apart from the very unusual, like a small puppy as seen on a previous post http://thelonedrainerandpronto.com.au/blog/plumber-rescues-puppy/ there are only a few reasons why drains get blocked. Hair – make sure to remove it from hand basins, shower grates and drains. Sand and soil – usually gets washed into the sewer from low lying surcharge gullies and stormwater running down footpaths and driveways. Foreign objects – like dental floss, toilet deodorisers , kids toys or even underwear, will block up sewer pipes very quickly. The most common cause of blocked drains in Australia is tree roots; they grow into the pipes for many different reasons. Today’s theory has been raised by a colleague who believes that the full moon causes trees to do “something different” every month, like search for more water, or just “flex their muscles”, thus causing more sewer blockages. It is a very interesting theory and we have been tracking it for about 18 months. Every month, two or three days either side of the full moon we have a 10-15% spike in requests for help on blocked drains caused by tree roots. This month the full moon fell on July 26th 2010, and it was no exception. Of course this only a theory, but we will keep tracking it! If you see or hear of emergency plumbers and blocked drain specialists acting and looking a little weird around the full moon………….let me know! Having travelled Europe extensively, one gets used to a bidet. Coming back to Australia made some of the queried group bemoan the loss of the bidets they got so used to. The question as to whether or not it was environmentally responsible to throw tissue paper in the toilet or in the trash was raised. The questioner remarked that they were bothered by how much tissue paper is used by a single family and they wondered just what it takes to remove the paper from sewage lines and from the treatment plants. Some experts were asked this question and they came up with answers to those questions and wonderings. Of course, all the experts came from the plumbing services fields and they would know best how to deal with this problem and gave opinions on what they felt were the best options. We also inquired at several plumbing services and a couple of places that offered a professional plumber. When attached to a sewer line that is maintained and repaired by a city, the toilet paper is decomposed through the processing system. In order to break down any solid matter that is in the waste water, methane is used. Ways to harness this methane gas is being researched and tested to make this process more efficient. Toilet paper blockages in the sewer lines don’t happen often, but consider the fact that the blockages would be reduced if a bidet were used. Cleaning one’s self with toilet paper in a home that is hooked to a septic tank can cause all sorts of nasty things to happen inside your house when blockages happen. Plumbing services have to be called in to remove the offending paper, and then any crack in the pipe or seam that is a little rough can gather another huge wad of toilet paper and clog everything up again. This is good news for the plumber; they appreciate the business, but for the home owner, this is a costly repair that has to be done. Bidets would do away with the need for toilet paper and end the numerous blockages that are created when someone shoves a huge wad of paper down the toilet. If you are really lamenting the loss of the bidet, call in the plumbing services and get your bidet installed. Almost any plumber will be more than happy to install a bidet for your home. With a bidet of your own, you will reduce the amount of paper that is used, reducing the amount of trees used in the process. Giving up the toilet paper is much more sanitary than giving up the bidet. The bidet allows for a cleaner person while not using as many resources. In the end it was decided that the bidet is the best way to go environmentally, for the best sanitation and for low repair bills. 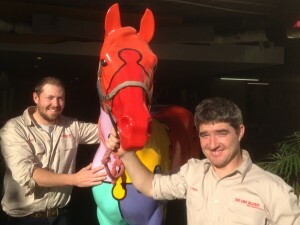 We went to Louisville to see how the best of the best plumbers in the United States, look after their clients. If you have blocked sewer drains, blocked sewer pipes caused by tree roots in your pipes, or tree roots in your drains, or overflowing toilets, the experts we met at Pumper Cleaner 2010 know how to fix your problem. As the name of the show suggests, the focus is on pumping and cleaning up on that other topic very close to my heart, sewerage, that’s right S – – T; because in our game S – – T happens. Our short YouTube video shows some of the equipment on display and how it is used. If you have a history of blocked drains at your home, you should read the following to learn more about your drains. Get a drainage diagram from Sydney Water and keep it handy; it’s part of your contract of sale. Tree roots will grow into your sewer, year in year out, through the joints in earthenware pipelines or where they meet PVC pipes. They will come back! Don’t ignore gurgling drains or siphoning pan outlets. They are a sure sign of a blockage. Investigate smells, they usually mean trouble. All plumbing fixtures, WC, basin, sink, bath, laundry tubs, kitchen sink etc. have an S or P trap, or water seal underneath. This trap is not to catch your diamonds (which we have successfully retrieved in the past), it is there to prevent the smell of the sewer coming into your home. If you have a bad smell in the bathroom or laundry it may be because the water seal in the floorwaste has dried out. This means the floorwaste is acting as a direct vent off the sewer and that’s why it smells. So an easy fix is to get a torch and see if the floorwaste is dry; if it is, get a bucket or jug of water, add disinfectant or bleach and tip it in. If the smell persists, it’s a job for the Lone Drainer and Pronto! Remove hair from your shower or bath drains. Bin it, burn it or flush it. Keep a simple sink plunger in your home tool kit. Don’t put sanitary products (tampon,s napkins etc) or dental floss down the loo. Dental floss is like fishing line, very tough, it wont break down, it will cause a blockage! Only use toilet paper. Not tissues or newspaper. (Try the tissue-toilet paper test. Put them in a bucket and run water over them. See what happens). Toilet deodorisers that hang over the edge of your loo are not recommended! They fall in and no one wants to put gloves on and retrieve them, so they flush them down and guess what? They will help put a plumbers kid through uni! If you do hire an electric eel and try to clear a blockage yourself, exercise caution, they are a dangerous weapon in the hands of a novice and may cost you more money than you save! 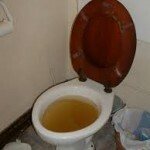 We fix your blocked drains, leaking taps and toilets with Silver bullet speed and without making a mess. And before we start, we provide you with our legendary no-surprise fixed quote that blends over 40 years of plumbing experience, technology and training so good…. even other plumbers seek our advice! Thanks to Dr Marc Dussault for helping us “hit our targets”. This was taken from the Sydney Morning Herald on 26th August, 2009. Blocked Drain Fixed with The Electric Eel! I was on crutches and had asked Bruno the plumber to attend a blocked drain at a well known food shop in Bondi. Bruno rang me to say that he couldn’t get the electric eel out of the drain pipe and could I come and help? My wife (who was 8 months pregnant at the time) drove me to the site and I limped in and found Bruno with the electric eel over an access drain and the eel cables stuck fast! “What happened” I asked. Bruno said “The eel cables just kept going in, so I kept on putting them in”. “How much cable is in that hole”? I asked. “About 45 feet” (15 metres) he replied! “How far to the blocked toilet”? I asked” “About 10 feet” he replied! I cringed! I held on to my crutches and tried to help Bruno drag that electric eel out of that pipe. It wouldn’t budge! Fortunately for us, the house behind the shop was vacant …. except for the “beast” that had been unleashed in the bathroom. The extra 35 feet of eel had come out through the back of the toilet, done a complete circuit of the small bathroom, then out the door and down the hallway towards the kitchen. The spinning action of the eel had allowed it to grab the old carpet hall runner in a “death roll”. When we had tried to wrestle the eel from the pipe, the old carpet had got stuck fast! 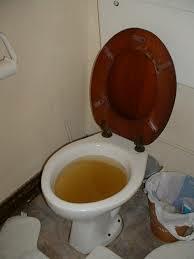 Of course we salvaged the situation, had the carpet cleaned, replaced the loo and successfully cleared the blockage. Some 12 years later when I have a coffee with Bruno (who now has his own very successful plumbing business) and we laugh about our daily plumbing lives, telling those gathered about the dangers of the electric eel, Bruno still blushes and says “David, it’s just The Nature of The Beast“! Plumbing Tip: Dont keep putting your resources into a black hole!